The sun was shining on our second model railway auction of 2017. There were 224 lots for keen bidders to choose from. 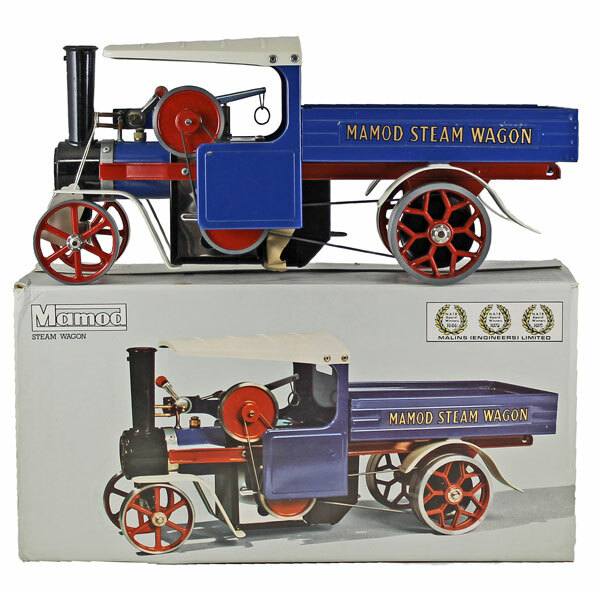 Beginning with the real steam section, this Mamod Steam Wagon No. SW1 and described as about mint and unused realised £129. 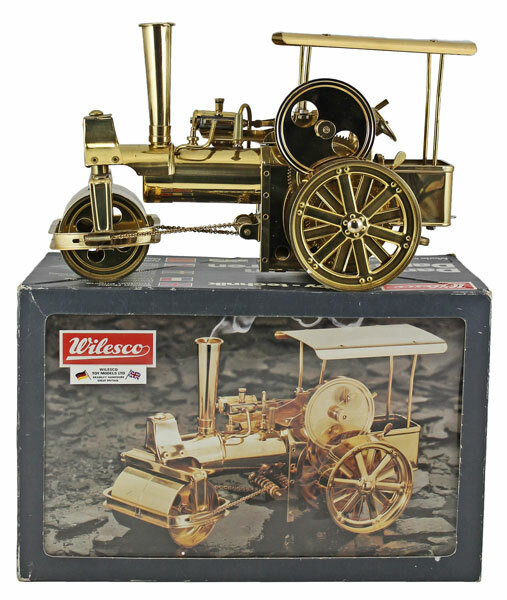 This Wilesco brass Steam Wagon No. D36 achieved £106. 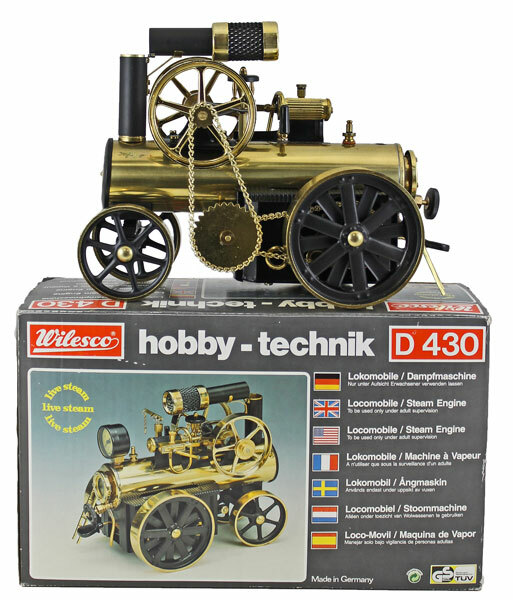 Also by Wilesco this brass Steam Engine No. D430 sold for £129. In the O gauge section this Bassett-Lowke LMS Standard ‘Compound’ 4-4-0 LMS 1190 No. 4302/0 electric 3-rail locomotive and tender achieved £141. Lots 677 to 680 contained rakes of EM gauge coaches professionally build by Lawrence Scale Models. The achieved a combined total of £1,545. Moving on to the OO gauge section this DJH professionally built and painted 4mm scale Black Five Class LMS 5022 locomotive and tender No. K75 realised £177. There were 9 lots of Wrenn in this auction, the highlight of which was this BR green 46110 Grenadier Guardsman 4-6-0 locomotive and tender No. W2262 sold for £165. Our next Model Railway auction will be held on Wednesday 17th May 2017. The full catalogue for this sale will be on our website in the next few weeks or keep an eye on our Twitter and Facebook pages which will include updates of our latest auction news.